Erect bushy hardy annual with notched hairy leaves. Insignificant white flowers surrounded by showy, rich indigo blue, dark veined bracts. The long lasting bracts may be used as a cut flower. 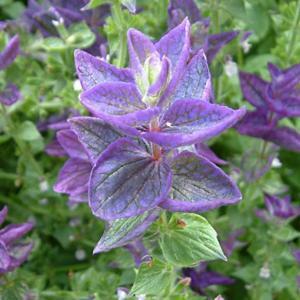 Although commonly called "clary", the true clary is the medicinal biennial Salvia sclarea.